This ochre sea star (starfish) is missing one of its arms, there should be another arm in between the one pointing up and the one pointing right. I don’t know if it was suffering from sea star wasting syndrome that is killing large numbers of sea stars on the Pacific coast. Multiple species of stars are affected but the ochre stars are the most visible since they are easily seen in the intertidal zone. 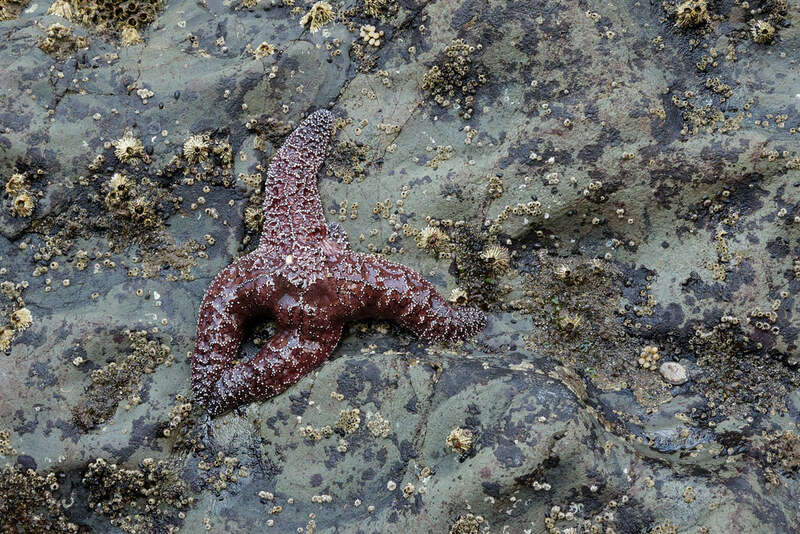 This entry was posted in Tide Pools and tagged Olympic National Park, Rialto Beach, sea star, starfish, tide pool, Washington. Bookmark the permalink.